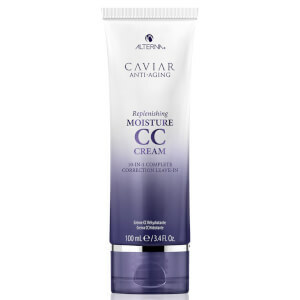 A leave-in conditioner that absorbs instantly and deeply hydrates dry, brittle, aging hair. This leave-in conditioning milk envelops strands to drench dry hair in nourishing, weightless moisture for age-defying softness and shine. 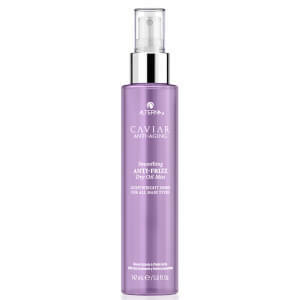 Spray throughout clean, damp hair. Press pump down quickly and firmly for liquid spray. Press pump lightly or slowly for lotion consistency. Style as usual. Can be used in place of in-shower conditioner on fine hair, or as an additional conditioning step on medium to thick textures. Water (Aqua),Dimethicone,Propanediol,Cetearyl Alcohol,Glycerin,Behentrimonium Chloride,Dicaprylyl Ether,Sea Water (Maris Aqua),Kappaphycus Alvarezii Extract,Polyquaternium-55, Cyclopentasiloxane, Dimethiconol,Panthenol,Cetrimonium Chloride,Selaginella Lepidophylla Extract, Lactobacillus Ferment, Amodimethicone,Superoxide Dismutase,Polysilicone-15, CaviarExtract,Ascorbic Acid,Saccharomyces/Magnesium Ferment, Saccharomyces/Copper Ferment, Saccharomyces/Silicon Ferment, Saccharomyces/Zinc Ferment, Saccharomyces/IronFerment, Phospholipids, Helianthus Annuus (Sunflower) Seed Oil,Sodium Methoxy PEG-16 Maleate/Styrene Sulfonate Copolymer,Tocopheryl Acetate,Butylene Glycol,Algae Extract,C11-15 Pareth-7,Laureth-9,Trideceth-12,Citric Acid,Disodium EDTA, Phenoxyethanol,Methylisothiazolinone,Fragrance (Parfum).